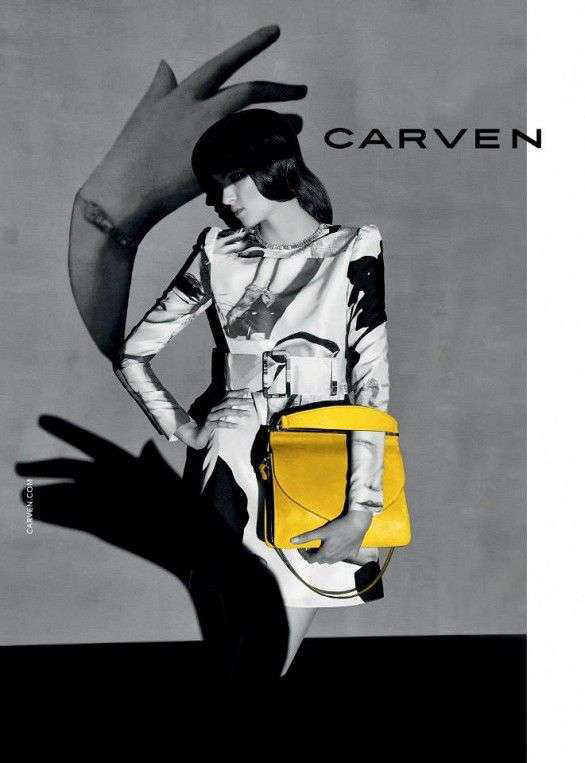 Has anyone ever predicted that advertising might get so close to art? 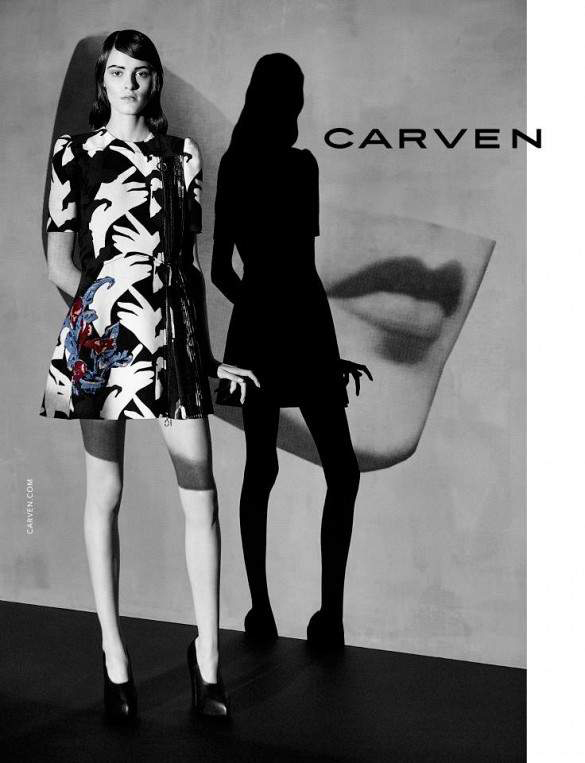 If you thought those two categories could never meet, take a look at Carven Fall/Winter 2014 campaign, inspired by the art of a Dadaist photographer and artist, Erwin Blumenfeld. Gustaaf Wassnik and Kremi Otashliyska were geniusly photographed by Viviane Sassen in the scenography of freedom and rejected norms. 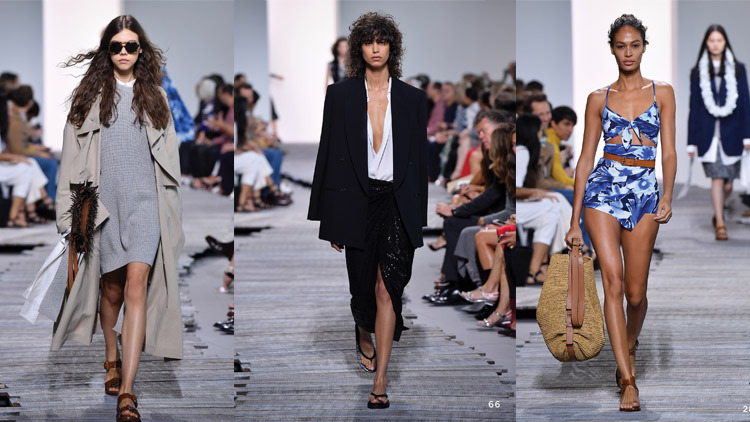 Masculine silhouettes, androgynous models, 20's inspired slicked-back hair and parts of human body in the background, create perfect artistic vision full of mystery. 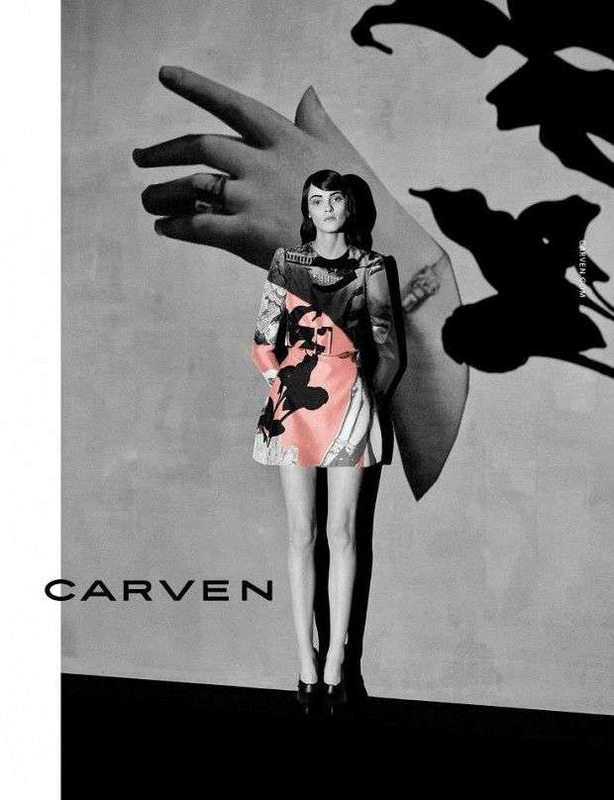 This uncoventional campaign of Carven shows deep connection between Art and Fashion, showing that Fashion can be perceived as the simpliest and closest to human's body form of art. Black and white atmosphere of the shoot seems to emphasize its retro style. Pictures are the flashbacks of groundbreaking time in history of fashion, when women started to unleash their femininity through their appearance in early 20's in the past century. 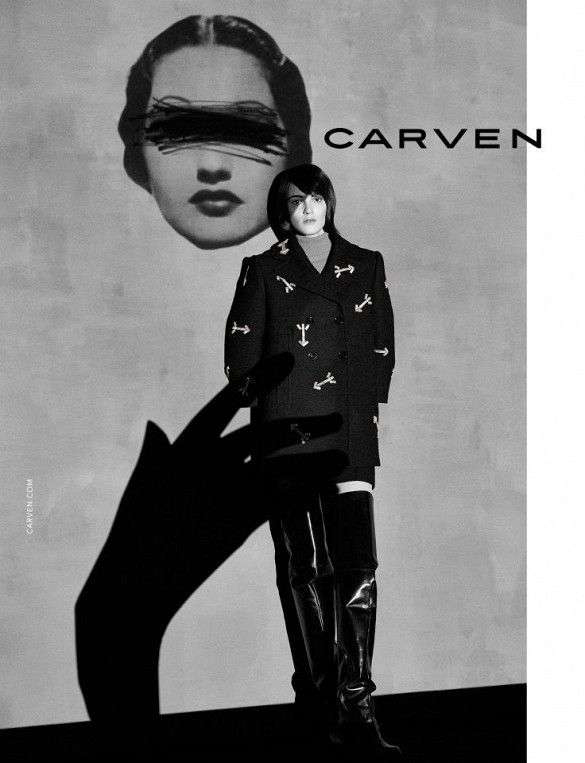 A-Line dresses with chaotic prints, bold clutches, leather over-the-knee boots, oversized masculine coats and classic suits are the essence of the latest Carven trends for this Fall. 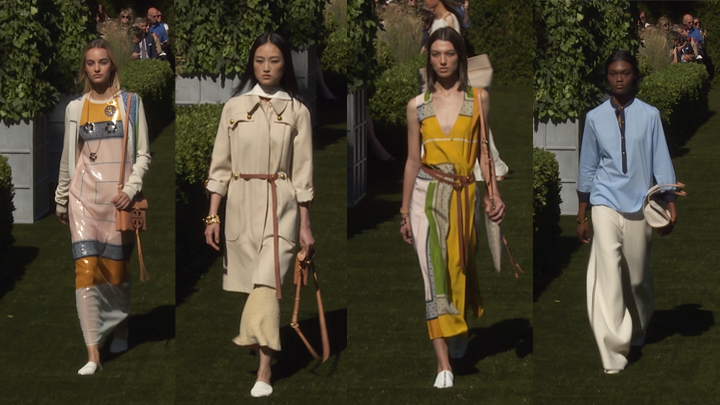 How do you combination of Art and Fashion in commercial add? Do you think those art-like campaigns speak better to us, customers?